If you are interested in becoming a Conformation judge for Frenchies, then you must be familiar with the breed standard as well as with the AKC rules and regulations. 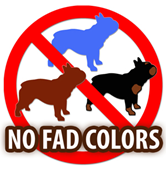 To begin, study the French Bulldog Breed Standard. You can also click here to view a pdf version of the Judging Seminar that the FBDCA Judges Education Committee presents at specialty shows and other venues. 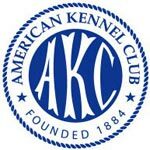 The dates and locations of judges seminars are also listed on the AKC website. 830 Phillips Lane, Louisville, Kentucky 40209 Wednesday, October 31 from 1 to 3:30 pm or 15 minutes after the conclusion of breed judging if that ends after 1. There will be ringside mentoring during the judging of the National October 29 - 31 and at the FBDCA Independent Specialty November 1 - 2. Cost $25.00 (includes a copy of the show catalog), advance reservations required: payment can be sent to Virginia Rowland, PO Box 300, Templeton, MA 01468 check made out to FBDCA or you can register and purchase admittance online.